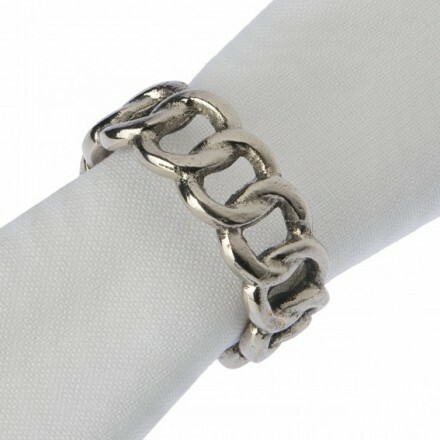 Pair of napkin rings in fixed chain design, ideal for dinner parties, silvery colour. Buy as many pairs as you need to in order that you have enough for your dining arrangements. 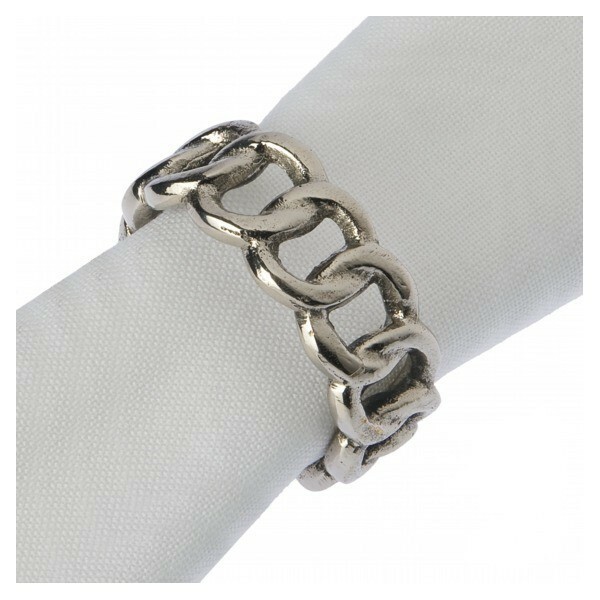 Pair of napkin rings, chunky fixed chain design solid in construction, designed to compliment any dining table, formal or informal... mix and match with our napkin cuff in the same metallic silvery colour for an eclectic shabby chic effect.